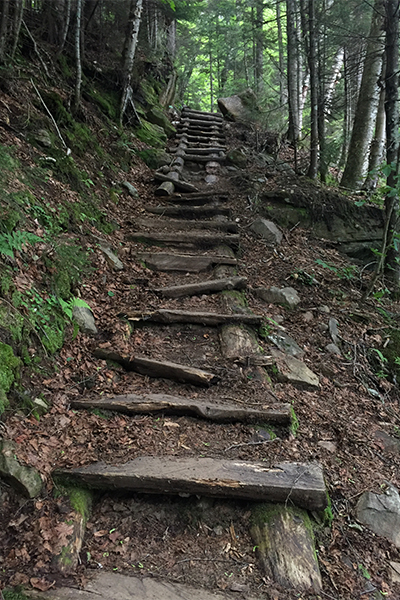 The Beaver Brook Trail, one of the steepest and most challenging sections of the entire Appalachian Trail, runs past set after set of unnamed cascades as it climbs several thousand feet to its termination at the summit of 4,802-foot tall Mt. Moosilauke. 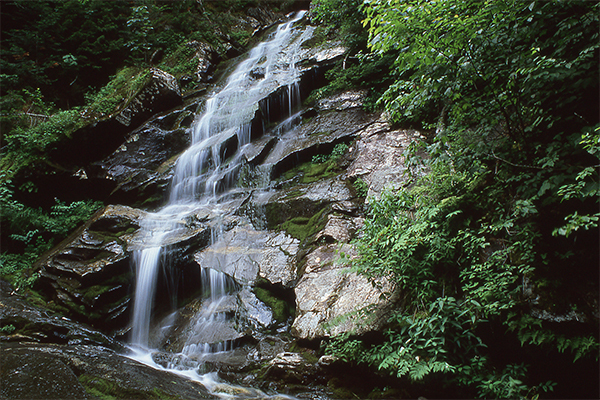 Nearly every classification of waterfall is represented along this chain of cascades, including horsetails, plunges, cascades, and slides. 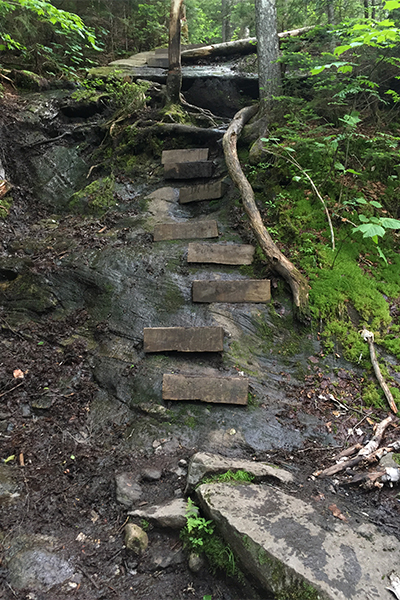 With the right combination of good weather, physical ability, and time, you should also considering venturing further up the Beaver Brook Trail to the often-windy summit of Mt. 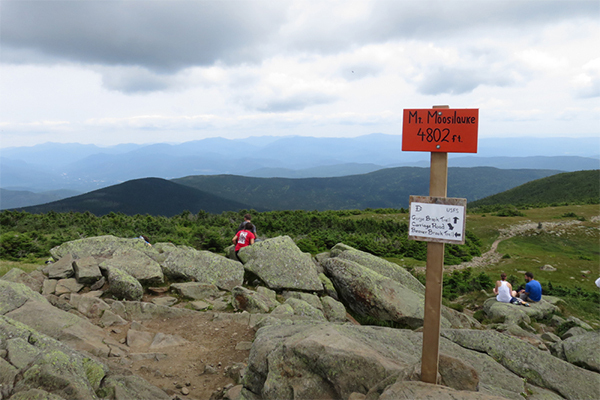 Moosilauke, where some above-treeline hiking and outstanding 360-degree views await you. 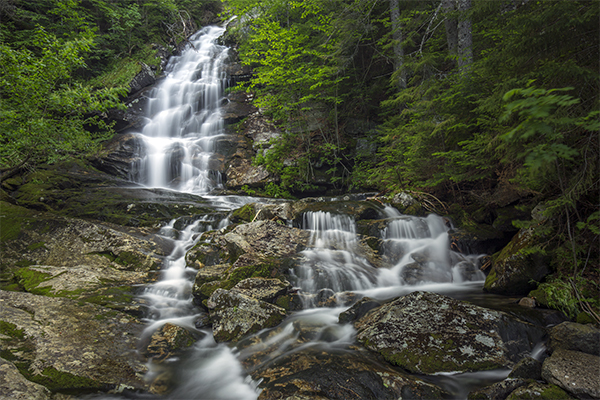 This 7.6-mile round-trip hike with 3,100 feet of elevation gain is one of the hardest but most rewarding hikes in the White Mountains. There are easier routes up Mt. 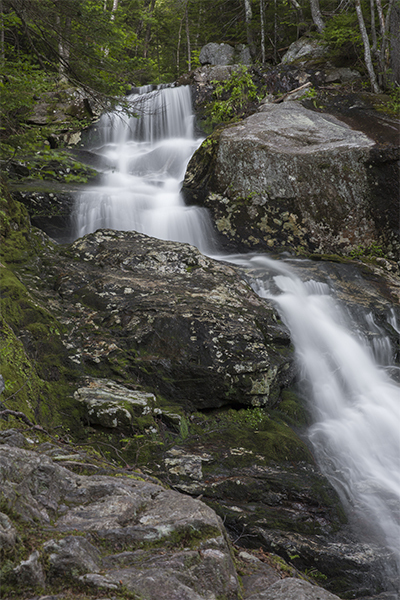 Moosilauke (such as the Gorge Trail > Carriage Rd > Snapper Trail loop), but none with such beautiful cascades. 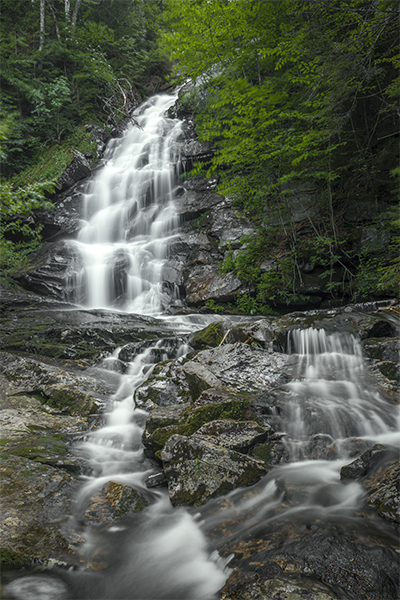 Many hikers will venture beyond the lovely cascades on Beaver Brook to summit Mt. 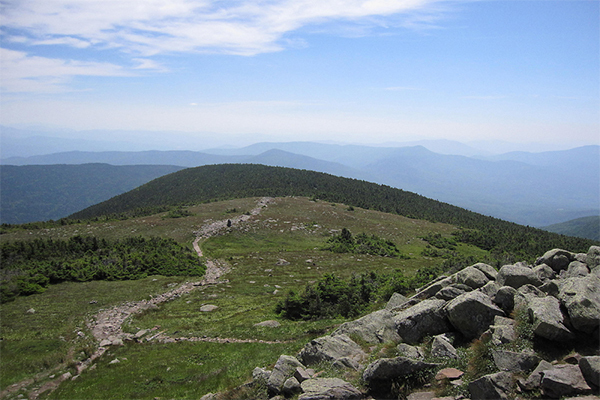 Moosilauke, where outstanding views of New Hampshire, Vermont, and even New York on clear days, can be enjoyed. 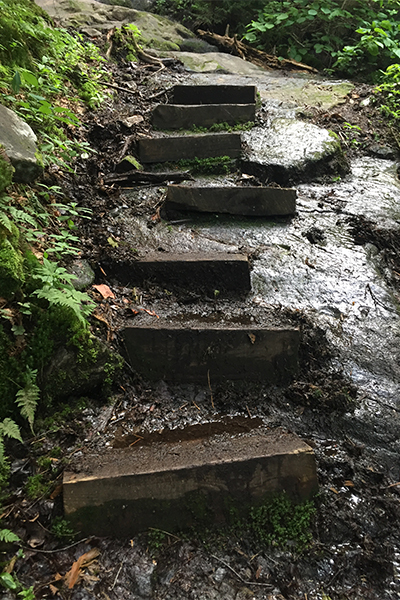 Expect rugged, steep terrain for the entire 3.8 miles from the trailhead to the 360-degree views of the 4,802-foot tall mountaintop. 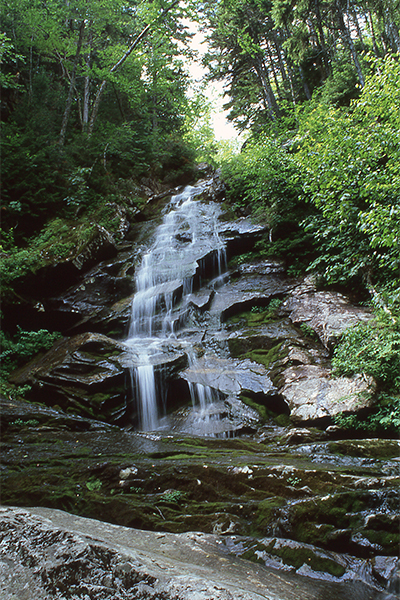 The altitude gain is 3,100 feet and the expected round-trip time is about six hours for the average hiker. 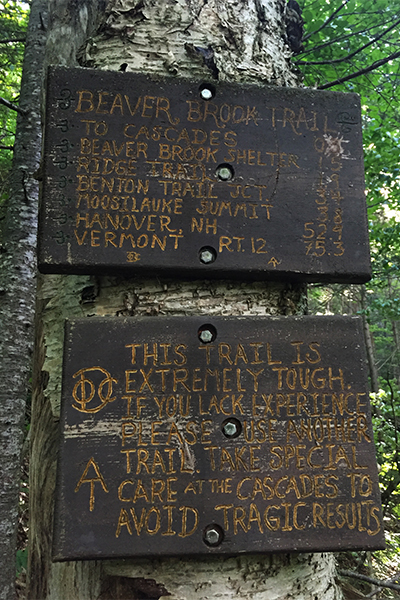 The final stretch of this trail is above the tree line, meaning you will be exposed to potential weather hazards. This is a large and demanding mountain that should only be climbed during good weather conditions and by experienced hikers.